A prospect of Greenwich Hospital for Seamen as designed and Advancing An. MDCXCIX. 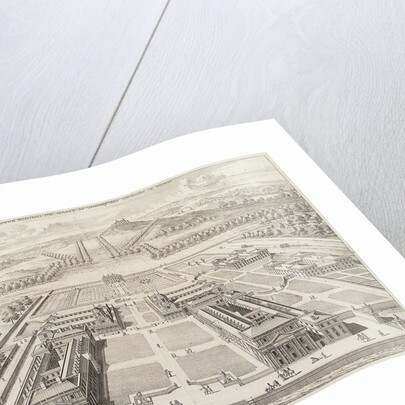 Product images of A prospect of Greenwich Hospital for Seamen as designed and Advancing An. MDCXCIX. 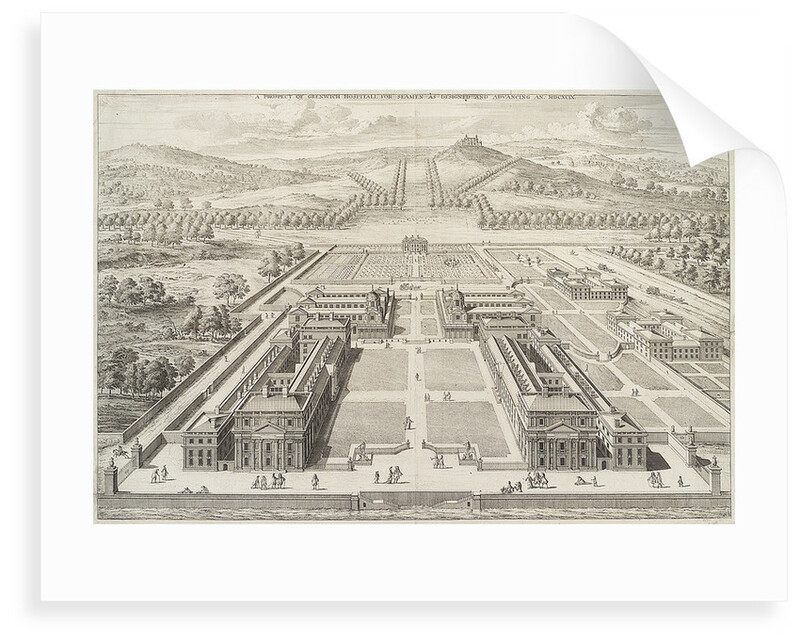 This aerial perspective is almost entirely based on conceptual plans since at the time this was printed, only the main range of the King Charles Court (lower right) was standing, with its smaller western (right) 'base-block' and the King William Court (under the right dome) under construction from 1696. 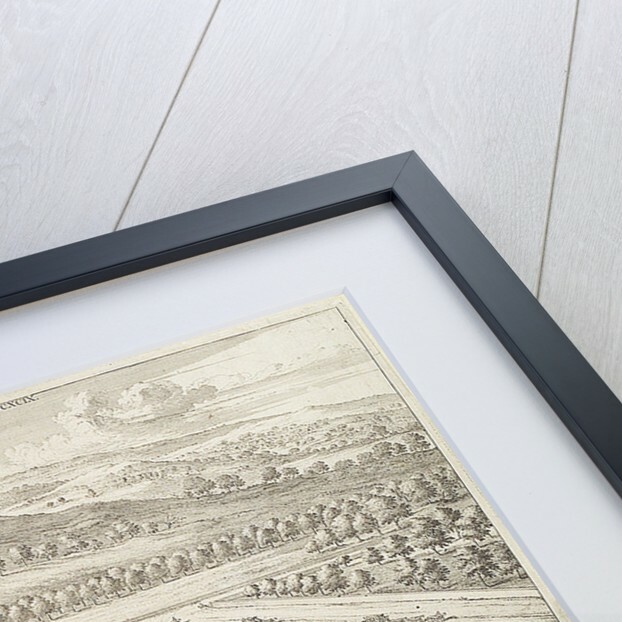 The outlying buildings and apsidally-ended parterre in the right middle distance appear on a plan now in the RIBA collection, London, but were not executed. 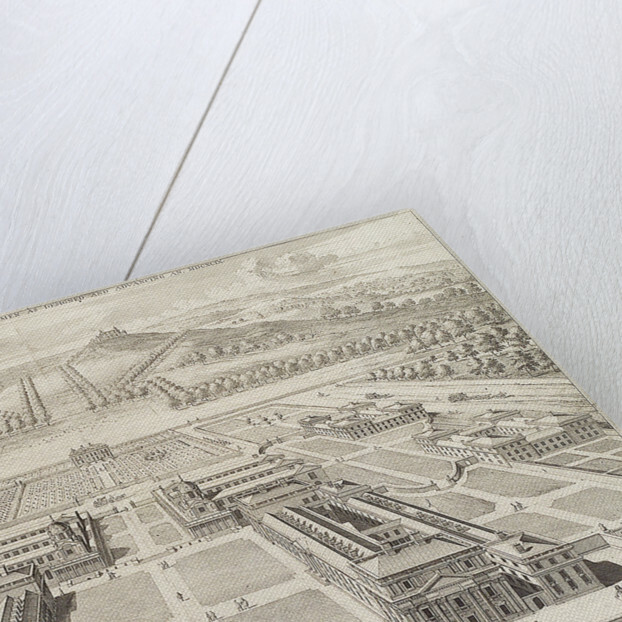 Both the domed King William and Queen Mary Courts are here shown in Wren's early design of three parallel ranges rather than as open courtyards, as shown in a plan engraved by J. Nutting in 1799, also now in the RIBA. Wren's original lower west range of King Charles, seen here, was replaced in John Yenn's rebuild of 1812-1815. More by the artist Johannes Kip.